Georgia Evans is a pseudonym of USA Today best-selling author Rosemary Laurey. She’s an expatriate Brit, retired special education teacher, and grandmother who now lives in Ohio and has a wonderful time writing stories of vampires and shape-shifting pumas. Read excerpts at her website. 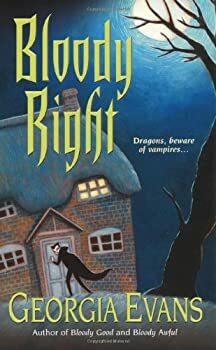 I'm always glad to see a vampire novel that moves away from stereotypical plots and settings. 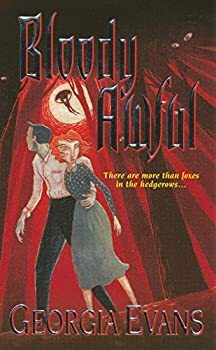 So, when I learned that Georgia Evans's Bloody Good was set in England during World War II and that its vampires were Nazi secret agents, I was immediately intrigued. 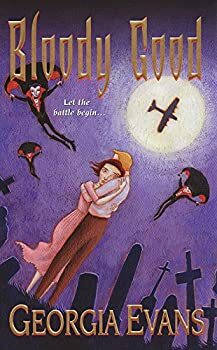 Bloody Good is at its best when depicting the struggles of ordinary country folk during the war. Through the many neighborly chats that fill these pages, the reader gets an idea of what it might have been like to deal with air raids, rationing, and the experience of either being an evacuee or having an evacuee billeted in one's home. For several of Brytewood's residents, who are secretly supernatural beings, hiding their true nature is a further challenge. Evans does a great job of showing a cozy setting in ominous times. My guess was right — Bloody Right, in fact! This is the best book in the The Brytewood Trilogy. This time, the remaining Nazi vampires have been assigned to assassinate Winston Churchill at a party on an estate near Brytewood. The assorted pixies, dragons, elves, sprites, and humans of the village must stop them before they can do the dastardly deed. The leading lady and man in this installment are Mary LaPrioux, a schoolteacher evacuated from Guernsey, and Gryffyth Pendragon, who has just been discharged from the army after losing his leg. I liked this romance better than the previous two, and the main reason is Gryffyth! He's by far the most interesting of the three male leads in the series. I loved him to bits!